When we bought our house, it was like living in a time capsule. It was like stepping into the 1950’s when you walked through our front door. 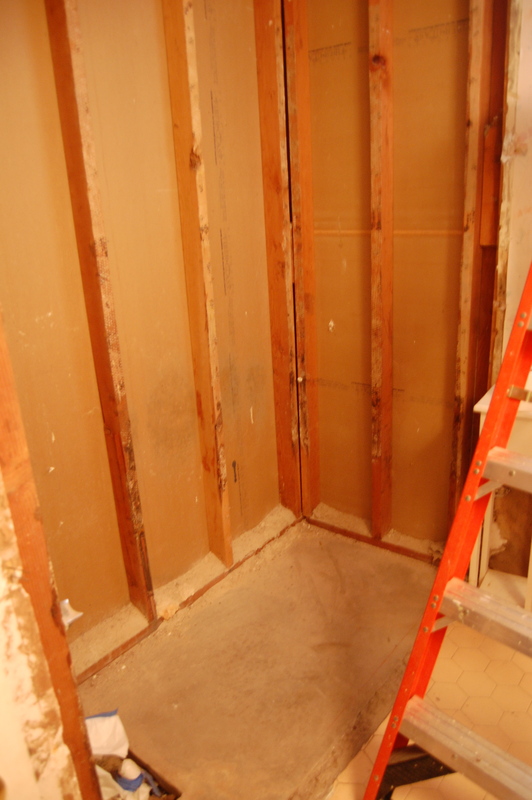 Since we started remodeling, there are many things I wish we had documented a little better. For example, no matter how much I describe the pelmets that were above our windows until we ripped them down, you will never know how bad they were. They involved upholstered fabrics in teal and piping. I didn’t even know what a pelmet was until I found one online. 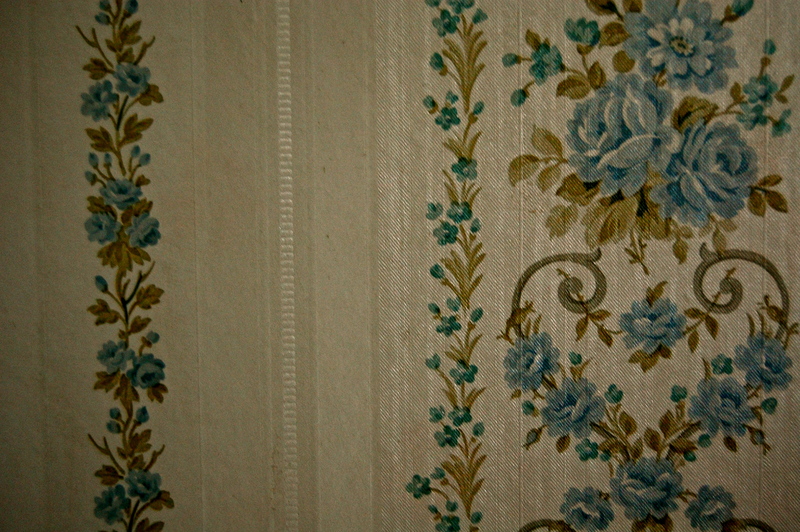 Here is a photo of a pelmet from http://littlegreennotebook.blogspot.com/2009/09/easy-pelmet-boxes.html. However, I want to be clear that the ones we had in our house were not super cute like this one in the picture. 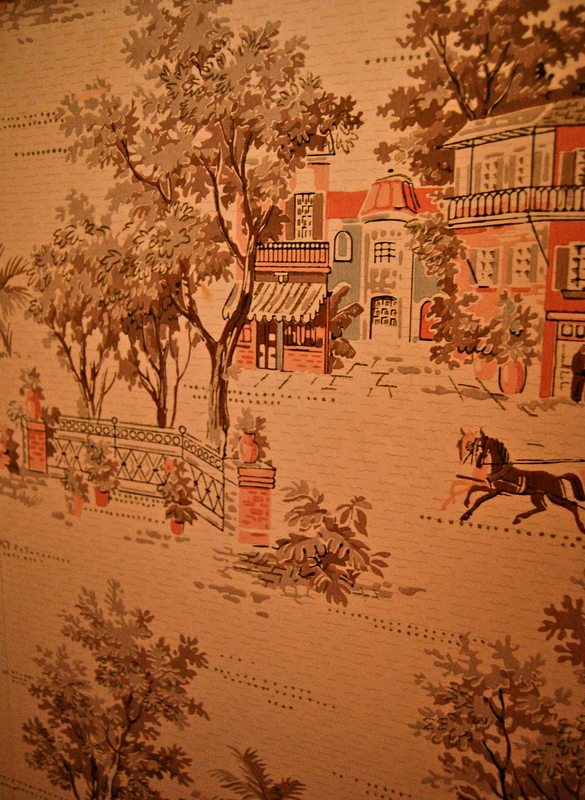 One of the funniest things in our house is the wallpaper. We have to laugh to keep from crying. 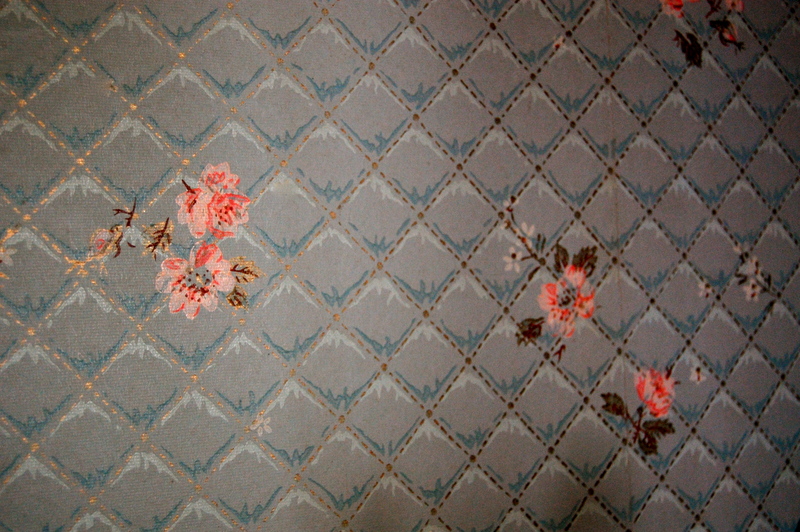 We have eradicated many rooms of wallpaper, but today we found a new surprise and I decided I should document the patterns we have going on around here. Those who know me well, probably already know that I told Nate I had a small leak in my shower two years ago. He promptly went into the shower to investigate and tore the entire shower and surrounding walls down. This is where the shower was located before the leak. I have learned a valuable lesson since that fateful day almost two years ago – if I see a leak in our house, I’m not saying anything unless water is gushing, pouring or puddling. A simple leak is likely to be ignored by me. This weekend, Nate started working on the bathroom again. 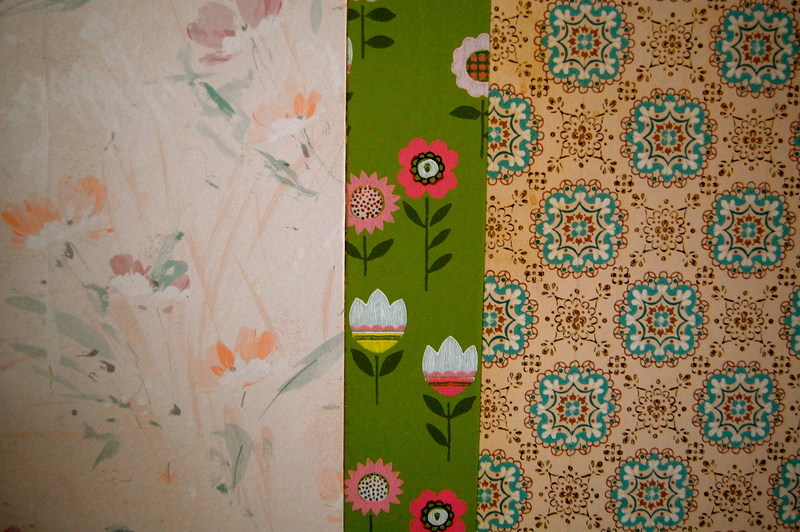 Just a few minutes into the project, I stumbled by the doorway and spotted some great wallpaper patterns. 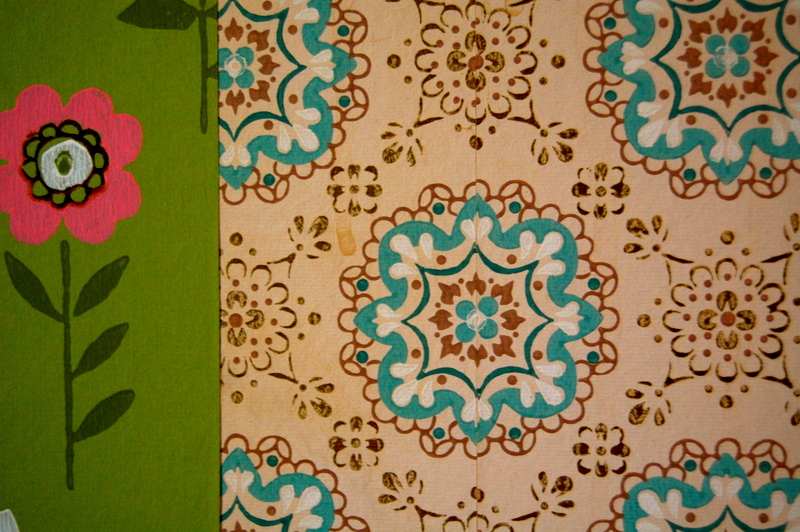 So, I’m going to take you on a wallpaper tour that I find to be very funny. Here’s what Nate uncovered this morning when he removed the bathroom mirror. There are actually three patterns on that wall. My favorite pattern of all time is located in the broom closet that we now use as a pantry. It has a horse and buggy! The office has another fetching print. 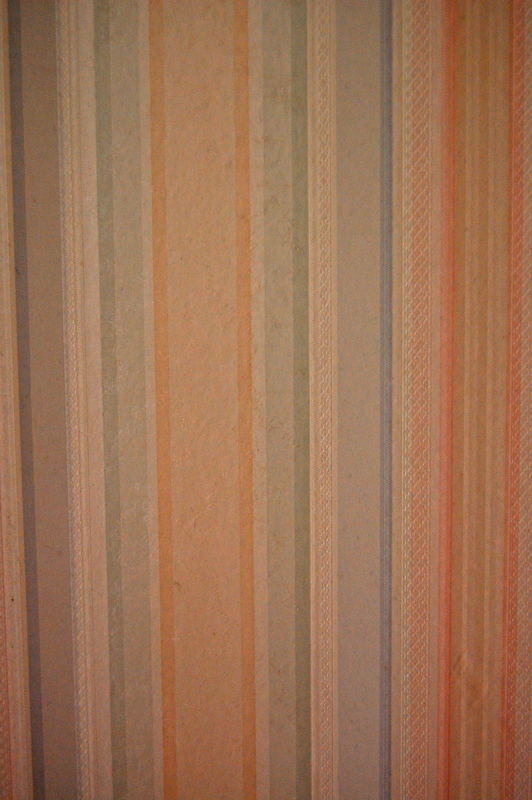 There is a nice stripe in the hallway. It has some sort of raised texture on it. Fancy. 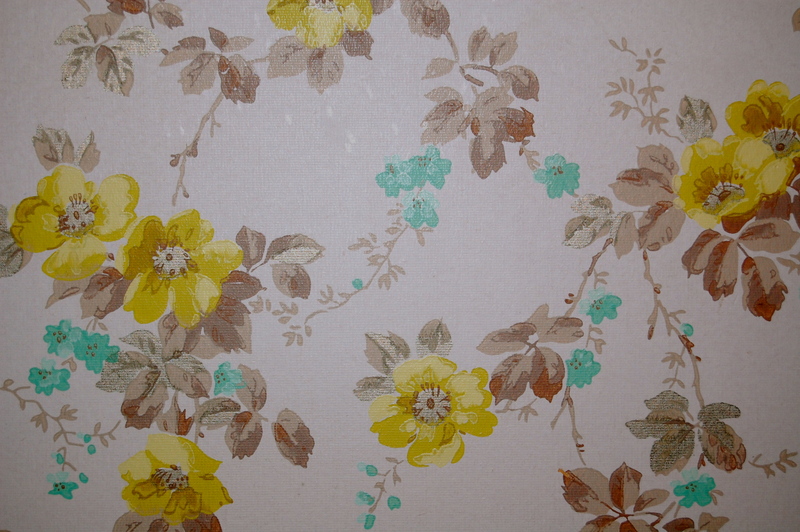 Then there is the fungus paper. For some reason it reminds me of some sort of flowering fungus. I’m thankful it is hidden away in the master closet. 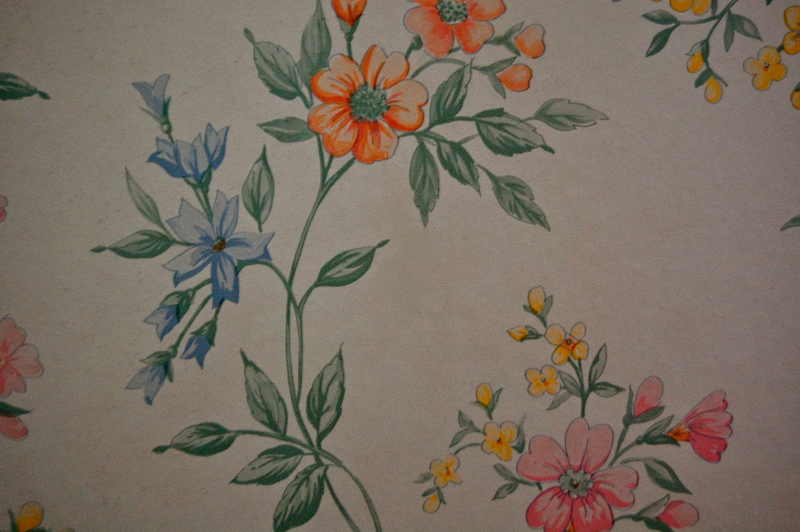 This is in the master bedroom and it makes me have big floral-induced nightmares. I’m drowning in flowers. There’s this one in the guest room closet. And, this one is in the guest bedroom. It had a matching window pelmet, if you can imagine. We ditched the window treatments, but haven’t got around to removing the wallpaper yet. Yikes. We never know what lies beneath the first layer, so there may be even more patterns to come. Let me also add a disclaimer. 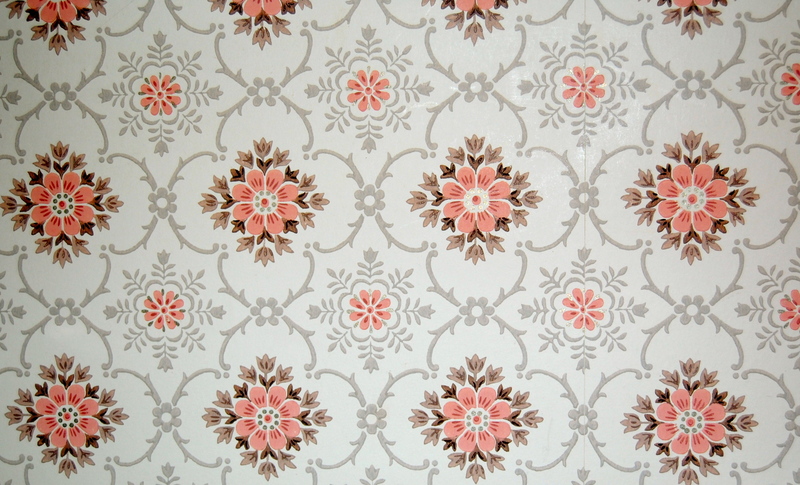 If you have any of the above wallpaper patterns in your own home, I would like to say that they may look good in your home. However, these patterns clash with my plush green carpet. Nate is working hard in the bathroom, so I will keep you posted about his progress. It looks pretty scary in there right now. Ok, I’m diggin the green with the funky little flowers! i’m with lexy883. i like that one. good luck lady!